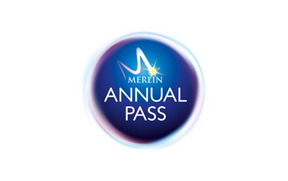 What do I need to bring to collect my Merlin Annual Pass Renewals? When do I need to collect my Pass after I have purchased it? Can I change the attraction I am collecting my renewal from? When do my Merlin Annual Pass renewals start from? Do all family members need to be with me when collecting my renewal Passes? To collect your renewal Passes you will be required to bring your confirmation reference number, the debit or credit card you used to make payment, along with your expired Merlin Annual Pass/es. How can I renew online?